Almost 50 percent of cancer sufferers are treated successfully. A new drug may give new hope to thousands of hay-fever sufferers. This spring has been particularly difficult for allergy sufferers. The company is engaged in the eternal search for a product that will lead the market. Will you two never stop your eternal arguing! They swore eternal loyalty to each other. 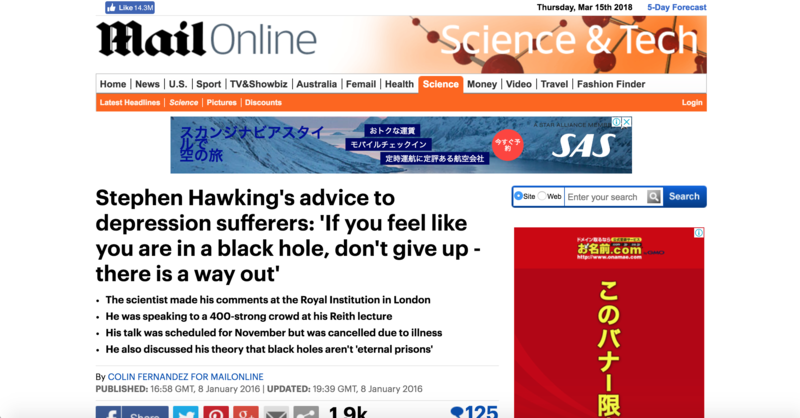 Professor Stephen Hawking alluded to depression in a lecture when he told his audience it is possible to escape from a black hole of despair. The illustrious scientist made his comments at the Royal Institution in London, speaking on the eve of his 74th birthday. In a Reith lecture for the BBC he told the 400-strong crowd that new thinking means that it is possible to escape from even black holes. In the conclusion to his lecture he said: ‘The message of this lecture is that black holes ain’t as black as they are painted. They are not the eternal prisons they were once thought. He kept alluding to his wife, but didn’t mention her name. He alluded to problems with the new computers. In despair he phoned the embassy. They’re in (the depths of) despair over/about the money they’ve lost. Their fourth year without rain drove many farmers to despair. 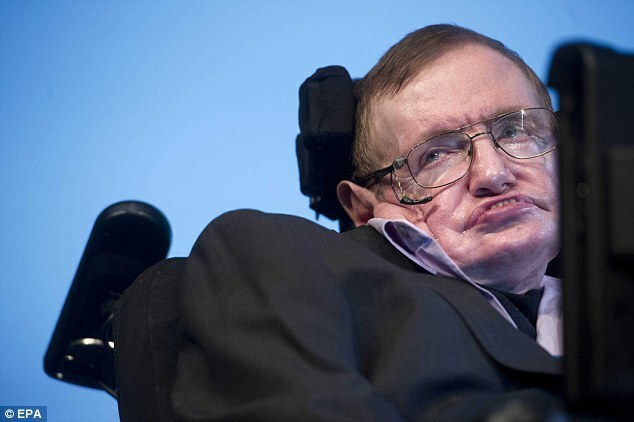 Professor Hawking was diagnosed with motor neurone disease in 1963 at the age of 21, when he was given just two years to live. His daughter Lucy, 46, told the audience that her father’s stubbornness and laughter have kept him alive. ‘He has a very enviable wish to keep going and the ability to summon all his reserves, all his energy, all his mental focus and press them all into that goal of keeping going. Answering a question from the audience, Professor Hawking said he had learnt to appreciate what he had. ‘Although it was unfortunate to get motor neurone disease, I have been very fortunate in almost everything else. ‘I have been lucky to work in theoretical physics at a fascinating time and it’ s one of the few areas in which my disability was not a serious handicap. 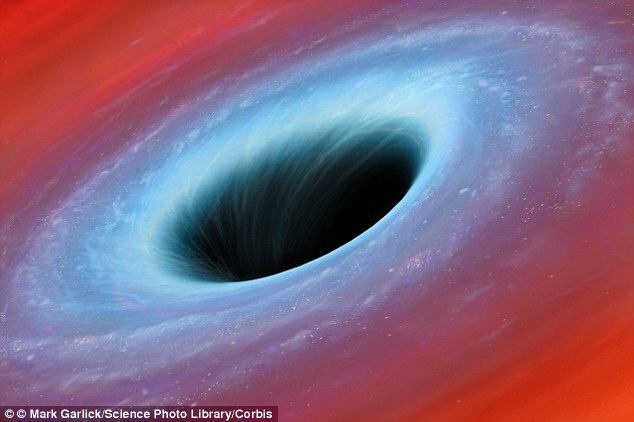 Professor Hawking said it may be possible to fall into a black hole and come out in another universe. ‘The hole would need to be large and if it was rotating it might have a passage to another universe. But you couldn’t come back to our universe. They have huge arguments because they’re both so stubborn. He’s sick, but he’s too stubborn to see a doctor. Even as a small child, he could be stubborn. Stubborn stains can be removed using a small amount of detergent. The proposed law is meeting stubborn opposition. She has an enviable ability to work under pressure. She’s in the enviable position of being able to choose who she works for. We were summoned to the headmaster’s office. He was urgently summoned to Washington for consultations. He couldn’t summon the strength to carry on fighting. She could barely summon a smile. It took me six months to summon (up) the courage to ask him out for a drink. We all have reserves of strength that we don’t realize we have. She keeps a little money in reserve (= for use if and when needed). The librarian has put the book on reserve for me (= will keep it for me when it becomes available). We still have a reserve of food/food reserves in case of emergency. The best films are those which transcend national or cultural barriers. The underlying message of the film is that love transcends everything else. The group makes music that transcends traditional pop categories. Gandhi helped people transcend political and class barriers. One aim of this meditation practice is to transcend fear. The Earth rotates 360 degrees every 24 hours. Rotate the handle by 180° to open the door. The talk was initially scheduled for November but had to be cancelled because Professor Hawking was unwell. The lectures will be broadcast in two installments on BBC Radio 4 on 26 January and 2 February at 9am.